The Great Unknown: The Story Behind Jerry Goldsmith's Score for "Alien"
In space no one can hear you scream. No matter which version of “Alien” you watch, you can't hear a huge amount of Jerry Goldsmith's music, either. With new franchise entry “Alien: Covenant” coming in the same month that composer Goldsmith receives his posthumous star on the Hollywood Walk of Fame, perhaps it's time for a look at the arduous journey to creating some of the most terrifying movie music ever made. In hindsight, you could probably see it coming. A storied, Oscar-winning (for “The Omen” in 1976) composer notorious for being forthright and a strong-headed individualistic director (Ridley Scott) making his sophomore effort alongside a first-time film editor (Terry Rawlings), it's no surprise there was some friction, and it started early on. Knowing Goldsmith was coming on to the project, Rawlings had created a temp-track for the rough cut that featured some of Goldsmith's music, including cues from his score to John Huston's 1962 biopic “Freud,” something Goldsmith disliked and would reject to go his own way. “Alien” came at an interesting time, with “Star Wars” two years earlier sparking something of a symphonic renaissance that captured the romantic music of Max Steiner and Erich Wolfgang Korngold. "I always think of space as being the great unknown," Goldsmith had said in an interview for 2004 DVD documentary "The Beast Within," "sort of an air of romance about it. And I approached ‘Alien’ that way ... I thought 'Well, let me play the whole opening very romantically and very lyrically and then let the shock come as the story evolves.’ It didn't go over too well." Goldsmith's original main title is a gorgeous cue that is indeed incredibly romantic, while still having an air of mystery, with a grand statement of his main theme, a far cry from the more obtuse and esoteric film version, which carries a more foreboding tone and uses wind and string effect influenced by Polish composer Krzysztof Penderecki originally intended to be used later in the picture. "I wrote a new main title, which was the obvious thing, weird and strange, which everybody loved. The original one took me a day to write and the alternate one took me about five minutes." Where Scott and Rawlings agreed with Goldsmith however, was with the scoring on the alien planet and the discovery and subsequent investigation of the derelict ship. "It seems to play the DNA of some distant society," Scott remarked in 2004, and Goldsmith used his familiarity with acoustic and electronic elements to create that atmosphere, with the famous "alien wind" effect that was an Indian conch shell run through an Echoplex tape delay machine, which made the similarly haunting trumpet effect in his 1970 score for “Patton.” Once Scott heard the effect he began to ask for it in other cues, with it eventually ending up in the rewritten main title. Goldsmith used an array of intriguing instruments to create the sound for the alien and its world, including a didgeridoo and a serpent, a unique wind instrument that resembles a rather large snake, and the terror of the unknown world and the creature is elegantly brought across by these unusual sounds. But when Kane is brought back onto the ship with the facehugger the music is literally brought back to Earth. For the scene where acid drips through the ship's decks after cutting the alien, Goldsmith wrote music for the scene twice—the cue was one of five re-scored—but both cues were rejected for a portion of his own 'Main Title' from the aforementioned “Freud.” This would happen again for the scene where Dallas is moving through the air vents looking for the alien; in that sequence three cues from “Freud” were cut together to form the score with all of Goldsmith's cue unused. While the cues were inserted by Rawlings and later bought by Fox, Goldsmith stated he had received letters saying "Starting to repeat yourself, eh?" As Scott and Rawlings continued, they used Goldsmith's score like library music and cutting and pasting where necessary to the point where only one or two cues are actually in the place in the film intended by the composer. The final straw for Goldsmith was the replacement of the finale and end title music. For the explosive final scene where Ripley blows the alien out of the airlock, Goldsmith wrote a three-minute cue called “Out The Door,” but only twenty seconds were used. Replacing the rest was a 1976 recording of a section of American composer Howard Hanson's "Symphony No. 2 (The Romantic)," which Scott and Rawlings then repeated over the end credits in lieu of a reprise of Goldsmith's main theme. "I don't think he ever forgave me for using Howard Hanson for the end of the film,” Rawlings said in 2004, continuing that the piece "was so perfect for it. It just did something that Jerry's end titles didn't achieve. It just didn't give us that emotional content." Rawlings would later say that "I do think that what we did on our temp in those areas was better than what he did.” And while that's certainly a subjective statement it's impossible for anyone to argue as the film has never been shown publicly with Goldsmith's score attached. The music can be heard however through the DVD isolated score and on the soundtrack album, but it's unlikely that we'll see any further version of the film that contains the original score. It's with some irony that Ridley Scott has not only been effusive about Goldsmith's music in retrospectives, but his main theme appears in Jed Kurzel's score for “Alien: Covenant” far more than it does in the 1979 film. Goldsmith would in fact go through the same process once again with Scott for the 1986 dark fairytale “Legend.” In that case, Goldsmith's score was removed wholesale in favor of a new-age type score by Tangerine Dream, and in the same year Goldsmith told the Los Angeles Reader that working on “Alien” was "one of the most miserable experiences I've ever had in this profession. I was on the picture for four months and I talked to you (Scott) three times." Nearly two decades later Goldsmith's feelings had perhaps mellowed: "Ridley is a brilliant filmmaker and I think that was just his second film and he wasn't as articulate then about what the music should do. He wanted me to be visual with the music, that's not what I'm supposed to do. I think the biggest problem was just in communication." 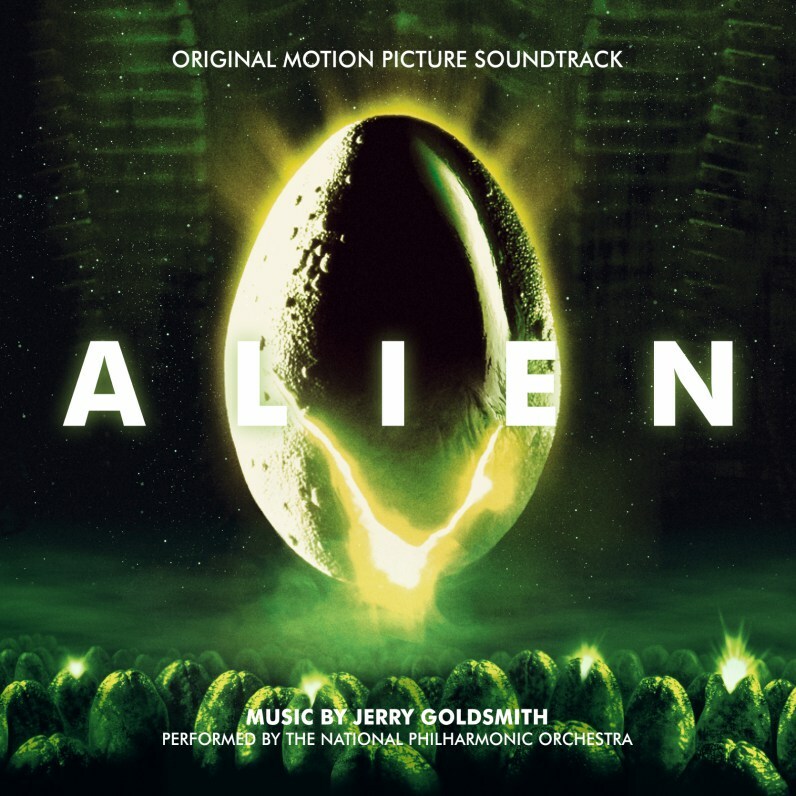 As with just about everything else connected with “Alien,” Goldsmith's score has gone on to have a life of its own and the complete intended soundtrack is available on CD and vinyl. It's notable that he wasn't the only one to suffer the same fate in the series; both James Horner (“Aliens”) and Elliot Goldenthal (“Alien 3”) would face massive problems with scheduling and editing when it came to write and score for their respective films. But as H.R. Giger's terrifying monster returns to the big screen for another attempt at scaring us out of our wits, there's a certain comfort in knowing that Goldsmith's music will still play a big part.